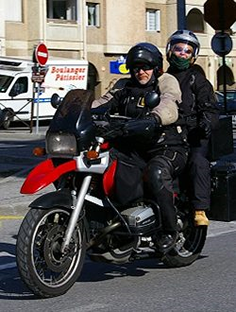 The Federation of European Motorcyclelists Associations (FEMA) report on the the Committee on the Internal Market and Consumer Protection (IMCO) meeting which was held on the 24th May 2011. Yesterday MEP Wim van de Camp presented his Draft Report on the future approval of motorcycles in the European Union to the responsible parliamentary committee, the Committee on the Internal Market and Consumer Protection (IMCO). Prominent issues discussed by the Committee members were the mandatory introduction of ABS, emissions and possible leeway for electric bikes. FEMA is positive about the Draft Report and has already entered into discussions for the improvement of details. The Draft Report (to be accessed here) was issued by MEP Wim van de Camp on May 6. The Dutch MEP is a motorcycle enthusiast and was one of the patrons of this year’s MEP Ride. He has been named Rapporteur of IMCO on the proposal for a Regulation on the approval and market surveillance of two- or three wheel vehicles and quadricycles. The Draft Report suggests amendments to the Type Approval Regulation as proposed by the European Commission. In the first instance the Draft Report aims at changing the application date of the Type Approval Regulation by one year, from January 2013 to January 2014. This initiative is hardly surprising since the motorcycle industry has complained about the overly ambitious schedule of the foreseen legislative process from the very beginning. FEMA acknowledges the need of the industry for sufficient lead time but is worried about one important detail: in combination with the newly suggested simplification of the implementation steps the amendment of the application date means that rules for motorcycle emissions remain unchanged until 2017. With regard to the environmental debate FEMA is very concerned that motorcycles will loose too much credibility if emission levels remain unchanged until 2017. During yesterday’s IMCO meeting at the EU Parliament in Brussels this was criticised by Ms. Kerstin Westphal, shadow rapporteur for the Group of Social Democrats and Socialists (S&D), as well as from Heide Rühle, shadow rapporteur of the Group of the Greens (Greens/EFA). Ms. Rühle insisted in continuing the discussion about the timing for the introduction of emission steps while Ms. Westphal argued that many motorcycles would comply with the EURO 3 norm already, which should justify the introduction of EURO 4 much earlier than 2017. 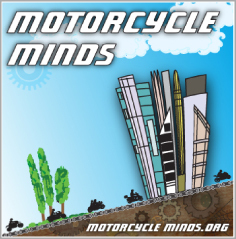 Mr. van de Camp agreed that clear signals for cleaner motorcycles would be appropriate but referred also to the deep economic crises motorcycle manufacturers were still facing. He promised to get back into discussions. What had not been discussed during the IMCO meeting was that in his Draft Report Mr. van de Camp reduced the requirement for emission durability from 50.000km to a mileage of only 40.000km for motorcycles above 125cc. Durability was a central argument for FEMA to support stricter emission standards and therefore FEMA has already started to raise concerns among MEPs. The Draft Report amends the initial scope of the Type Approval Regulation in a way that trial and enduro motorcycles are covered as well, as long as they are not intended exclusively for off-road use or competition. FEMA was calling for this change from the very beginning and during yesterday’s IMCO meeting all speakers complimented Mr. van de Camp for this solution. FEMA is also pleased to see that the Draft Report explicitly excludes trial and enduro motorcycles from the mandatory introduction of ABS. Regarding all other motorcycles FEMA has called for a voluntary approach relying on consumer choice. Within IMCO it becomes apparent that mandatory ABS will come, the question remains for what kind of bikes. While the proposal of the Commission included a reference to the maximum designed vehicle speed in order to categorize vehicles, Mr. van de Camp’s Draft Report withdraws this option. ABS requirements shall therefore stick to engine size exclusively. Roberts Zile, Rapporteur of the Opinion giving Committee on Transport and Tourism, had already suggested that nothing but the maximum speed of a vehicle would justify the mandatory introduction of ABS. Yesterday MEP Andreas Schwab, like Mr. van de Camp member of the Group of the European Peoples Party (EPP), said that if ABS was a safety tool it had to be applied especially to vehicles used by young people. At the same time he acknowledged that young people were attracted to cheap vehicles, therefore he raised the question to what extent the ABS discussion was driven by safety issues on the one hand and by cost arguments on the other hand. Ms. Westphal said that she was aware of the need for ABS for bikes accessible to young people and added that Combined Braking Systems were no alternative to Anti-Lock Braking systems. Ms. Rühle disagreed that ABS would not be required for mopeds. Mr. van de Camp concluded the discussion by arguing that ABS was not useful for 16-year olds since they had no training in handling ABS while admitting that the cost for ABS could be expected to further decrease. Unlike for ABS MEPs tend to agree that eBikes need sufficient room for development. Ms Rühle reminded Committee Members that there was hardly any market for electric two and three wheelers when the European Commission started to draft the legislative text almost three years ago. This situation has rapidly changed until now and developments could have accelerated even further when the Type Approval Regulation will finally be applied in 2014. Ms Rühle therefore pledged that the desirable evolvement of emission free mopeds, scooters and motorcycles must not be confined by too strict regulation. In his reply Mr. van de Camp seemed to agree but he reminded that a situation where the users of bicycles with auxiliary electric engines, so-called pedelecs, run down a hill exceeding 45km/h without wearing a helmet should be avoided. Ms. Westphal criticized that the Draft Report does not foresee on-board diagnostic systems (OBD) for mopeds anymore. The German MEP argued that the absence of OBD facilitated engine tampering. Even though the underlying cause might not be appropriate Ms. Westphal’s concerns in relation to moped tampering should be taken into account. At the same time FEMA calls Parliament to make a clear separation between powertrain modifications of mopeds and of motorcycles above 125cc. Following the advice of FEMA the Draft Report makes it clear that, after modifications of the powertrain, vehicles would only need to be compliant to the same requirements as were applicable when the original vehicle had entered into service. The Draft Report also highlights the well established culture of modifications but it still doesn’t highlight the difference between useful modifications for motorcycles and illegal engine tampering of mopeds. FEMA very much welcomes the strong statement Mr. van de Camp makes in the Draft Report “in order to ensure that the individual vehicle user and repairers will have sufficient access to RMI at reasonable costs.” The fact that this point has not been brought up during the IMCO meeting can be interpreted as an agreement among the shadow rapporteurs. Regardless, FEMA will continue to approach decision-makers and explain about possible loopholes. When RMI had been discussed in the car sector, car manufacturers had argued that all information related to safety and security issues, like anti-theft devices, should not be given to independent repairers. Although this argumentation implies that independent dealers and repairers are more likely to be criminals, compared to official dealers and repairers, the car industry were successful. Additionally car manufacturers declared a considerable amount of information to be directly linked to safety and security which enabled them to deny independent repairers to access RMI for many of the most common repair works. A situation to be avoided for the motorcycling industry. The so-called Regulation on the approval and market surveillance of two- or three wheel vehicles and quadricycles is important for motorcyclists since it defines how manufacturers have to build motorcycles in order to allow its use on public roads in Europe. The text for this regulation has been proposed by the European Commission last year already (FEMA reported). Now it’s the turn of the European Parliament to decide upon the proposal. Then the Council of the European Union has the final say. The work of the more than 700 Members of European Parliament (MEPs) is divided among Committees. IMCO is the Committee in charge of producing a report advising amendments to all MEPs regarding the initial proposal of the European Commission. The Dutch MEP van de Camp has been named as Rapporteur and is therefore in charge of compiling the IMCO report. After the presentation of a Working Document (FEMA reported) Mr. van de Camp has now presented a Draft Report which was discussed in Parliament yesterday. Until 20th of June MEPs have the possibility to hand in their amendments. Then Mr. van de Camp will set up the actual IMCO Report which IMCO will vote on at the beginning of October. The plenary vote on the IMCO Report is scheduled for late October. The world is asking you to fight these individuals with all that you have. These safety-nuts will use any excuse to limit our freedoms and our choices.